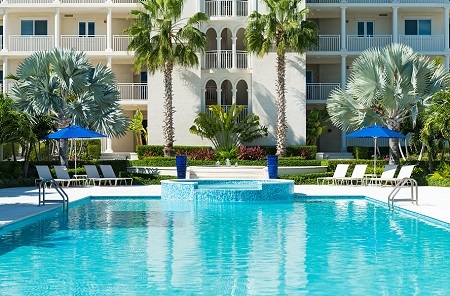 The Venetian Luxury Resort Turks and Caicos! BUY Two (2) Nights $599 Including Taxes Per Night! at The Venetian Luxury Resort Turks and Caicos! Treat Yourself to the Most Luxurious Accommodations in the Turks and Caicos! The Venetian on Grace Bay is one of the newest luxury resorts on the beautiful island of Providenciales in the Turks and Caicos. The Venetian on Grace Bay is situated on the island of Providenciales, the main tourist destination of the 40 islands and cays that forms the Turks and Caicos archipelago. 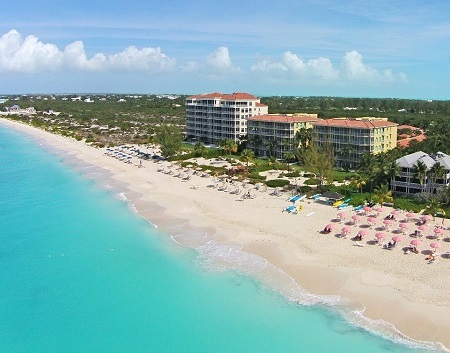 Best of all, our luxury resort occupies a quiet stretch of Grace Bay Beach. 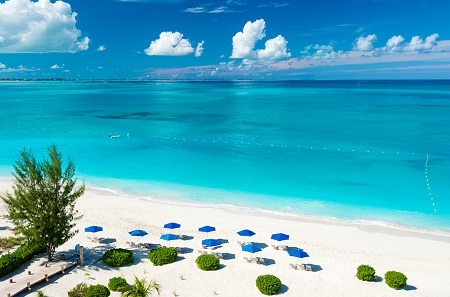 Thanks to its powdery white sand and unbelievable turquoise hues, Grace Bay Beach was recently voted the #1 island in the world for vacationers. 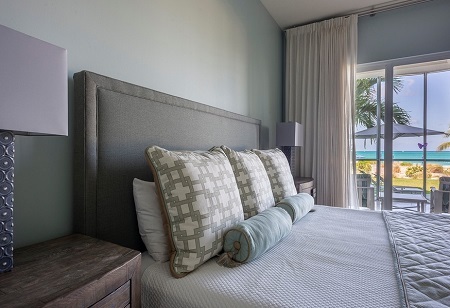 Our stylish, designer decor and soothing turquoise hues mimic the gorgeous views of magnificent Grace Bay Beach. Spectacular ocean view are available from every suite of our resort, while the elegant design of our accommodations provides ultimate privacy and comfort for guests and residents alike. Offer is based on Single or Double Occupancy in a One Bedroom Oceanfront Suite. Features: Master bedroom has King sized bed and bathroom that features dual vanity sinks, a large glass walled shower, and separate tub. The large gourmet kitchen features stainless steel appliances, granite counter tops, double ovens, and separate cook top. The large, fully furnished screened-in terrace overlooks the clear water and white sand of Grace Bay beach. Available on different floors throughout the resort. Over 1800 sq feet! Stay Two (2) Nights as desired and based on availability. Buy price is Per Night. Taxes and hotel service charges are INCLUDED in this offer.